Comedy from Mental TemperClosing party for Leaders of Men work by Marek Danielewski. 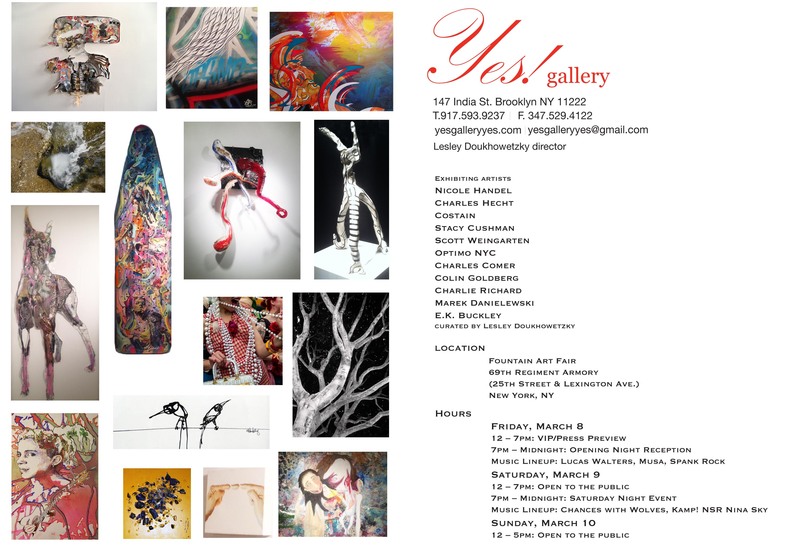 Yes Gallery is proud to present “Equality Now” a benefit and exhibition featuring works by Lara Pacilio, curated by Lesley Doukhowetzky. Rather than showing women as elegant figures with attractive poses Lara Pacilio takes on a whole different perspective in which she exposes what women often go through in everyday life. With the use of unconventional tools such as iron and covered wood Pacilio is able to create pieces that are sensual yet bold, graphic yet subdued with images showing the pains and struggles of women. At an early age Pacilio traveled around the world with her family, spending parts of her childhood in Africa. It becomes evident that her experiences traveling have been used as a tool for inspiration. Pacilio tells us not only about herself and her experiences but also about a unique concept in a language that is sometimes extremely explicit, depicting problems linked to the gender differences which are still numerous and of difficult solutions. Women are defined legally equal to men, but this is an ideological attempt to enslave them at higher levels of society and the job market. Freedom for women is not living the role men have assigned to them but to create mutual respect based on equality. Art sales and donations will go towards achieving legal and systemic change that addresses violence and discrimination against women and girls around the world. Tickets: $10 daily / $15 weekend pass. All tickets sold at door. 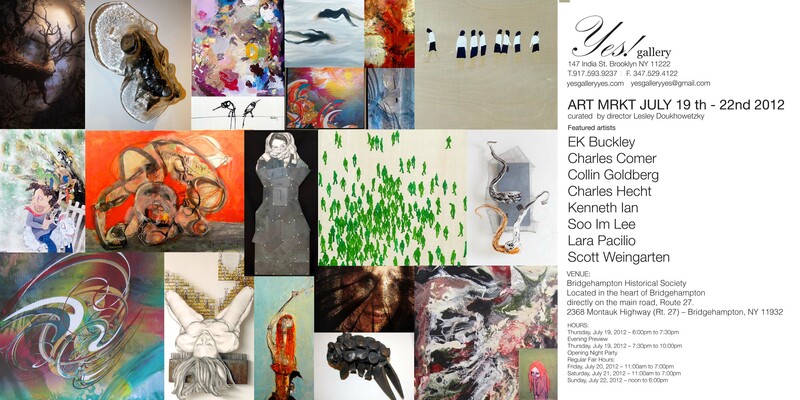 (New York, NY – November 7, 2011): Fountain Art Fair is thrilled to announce its return to Art Basel Miami Beach for the 6th consecutive year, opening Thursday, December 1st for a VIP & Press Preview and running through December 4th. Centrally located amongst other internationally acclaimed fairs, Fountain will once again take over the 25th St / North Miami Ave warehouse and bombard the streets of Wynwood Arts District with its signature mix of alternative galleries, independent artists, performance art, and live musical events. Fountain’s program is stacked with the fresh, in-your-face, avant-garde art experience its visitors have come to expect. In anticipation of its sixth return to Miami, Fountain is hosting a Miami kick-off party on its NYC home turf Thursday, November 17 from 7-10 pm. Teaming up with BOMB beer and East Village venue The Blind Barber, Fountain will throw a Miami-style bash with a night of killer beats by DJs Dash Speaks and NSR. Come get your dance on and check out art by featured Fountain artist GILF! Tickets for the Fountain Miami Launch Party can be purchased here. Fountain is proud to announce Miami exhibitors Kesting/Ray, Lambert Fine Arts, Evo Love, Cheap & Plastique, The Feminist Artist Project, Ryan Cronin, GILF!, Marianne Nems Gallery, Aleve Mei Loh, Mighty Tanaka, The Marketplace, Sarah Trouche, Lindsay Carron, Francesca Arcilesi Fine Art, Susan Radau, Art for Progress, Working Method Contemporary, Solo(s) Project House, Karen Jones, Yes Gallery, Microscope Gallery, and the notorious Murder Lounge. Special thanks to presenting sponsorMiami New Times and contributing sponsor Hedley’s. 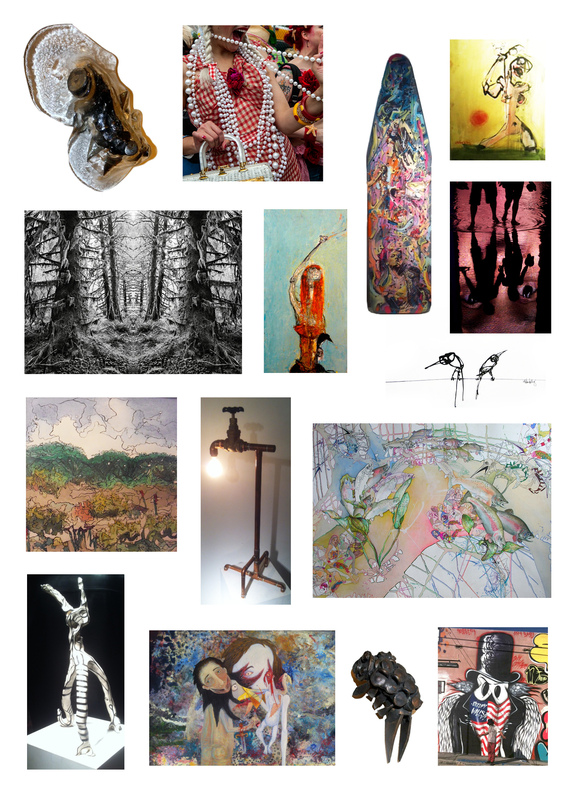 Check out FountainArtFair.com or the Fountain Facebook page for updates on participating exhibitors, sponsors, and musical guests as December 1st approaches! Fountain Art Fair was founded in 2006 as an attempt to leverage support for smaller independent galleries to gain access to larger collectors and critics. Since its inception, Fountain has held six exhibitions in New York, one in Los Angeles, one in Chicago, and is now celebrating its sixth exhibition in Miami. From its roots deep within the independent Brooklyn art scene, Fountain has grown to represent over 20 international avant-garde galleries and projects, showcasing progressive primary-market works. $10 daily / $15 weekend pass. All tickets sold at door.